It’s not just sourdough that loves warm water – the body does too. Read as many health blogs as you like, drinking water is hands down the best drink for your body. We need plenty of it, even when we’re sitting still in the office. But can you learn to enjoy it as much as a cup of tea or coffee? Actually, yes! We’ve discovered that drinking hot water can become curiously addictive if you put some care into making it, learning the way you like it, even creating a ritual out of it. Boil the kettle to 2/3rds boiling, or let it cool from boiling. 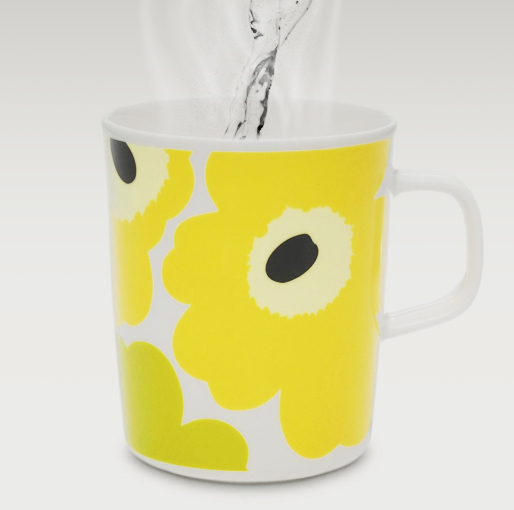 At the risk of sounding precious, ideally you want to use a beautiful, tactile ceramic mug – mug-bonding matters as much with water as a cup of tea. Perhaps add a squeeze or slice of lemon. Ever since Modern Baker’s turmeric latte began to trend in the Indian press we’ve been looking for more creative tips from India… So, as the South Indians do, leave a very small amount of herbs like cumin seeds, cardamom seeds or coriander seeds or a slice of turmeric or ginger in the bottom of your mug of water. Or brew it for five minutes on a stove if you have time. This will give a gentler flavour to the water, and many herbs aid digestion or provide healing to the gut. Why is it so important to keep drinking water regularly? If fluids stop moving around the body then the lymph can’t do its job properly, so toxins begin to build up and stagnate and, quite quickly, you can begin to feel pretty awful and lose concentration. Not to mention the long-term damage that this can do to the body.